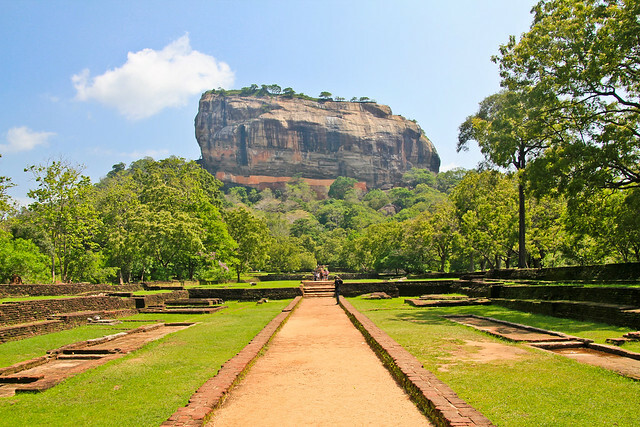 he main entrance to Sigiriya is located in the northern side of the rock. The western wall of Sigiriya was almost entirely covered by frescoes, created during the reign of Kasyapa. Eighteen frescoes have survived to this day. The gardens of Sigiriya are among the oldest landscaped gardens in the world. Sigiriya has water gardens, cave and boulder gardens, and also terraced gardens.They are located in the western part of the rock and are with a complex hydraulic system, which consists of canals, locks, lakes, dams, bridges, fountains, as well as surface and underground water pumps.